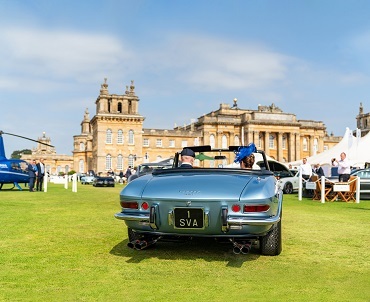 Event Description: Welcome to the Jaguar Enthusiasts� Club festival launch for 2019 at Blenheim Palace for the Jaguar extravaganza and some very exciting cars! 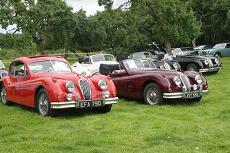 Blenheim Palace will be invaded by Jaguars, possibly the biggest gathering of Jaguars the JEC has ever seen! Number of Cars Attending: ? Event Description: La Vie en Bleu returns to Prescott!! . 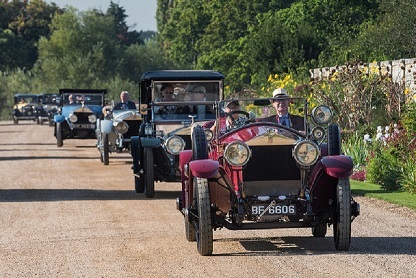 The spectacular two-day event is a firm favourite on the motoring calendar and celebrates all things French & Italian and this year will be no exception. 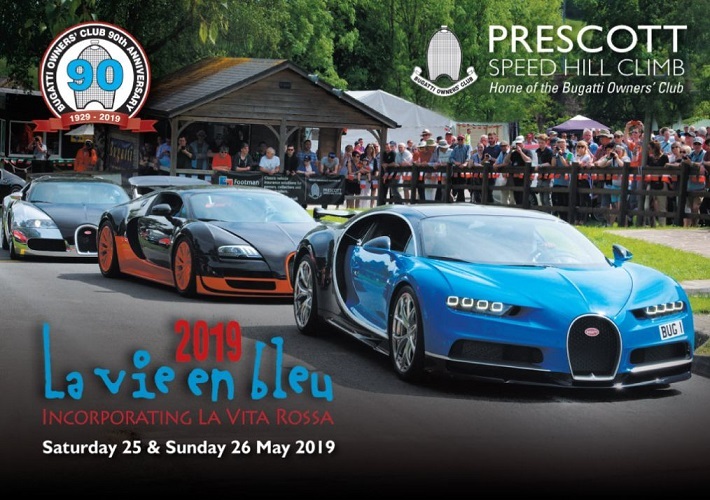 Prescott Hill Climb (Home of the Bugatti Owners Club) will once again be transformed into a celebration of fine French and Italian automobiles, action-packed motor racing, and a whole host of entertainment. Non-stop themed entertainment from One Man Frank, a tribute to crooner Frank Sinatra, the incredible Oyster Street Opera and evoking the sound of 1930s Paris. Event Description: A display of some of the world�s finest cars in the intimate setting of the gardens of the Honourable Artillery Company with displays from artisans and specialist suppliers. The Concours is aimed at collectors, enthusiasts and people with an appreciation of quality and craftsmanship.A relaxed environment with great food, good company, and a variety of entertainment to enjoy. Event Description: Belgrave Square Garden will open to the public with the launch of the Belgravia Classic Car Show, presented in association with Chestertons. The event will showcase some of the finest motors throughout history and will be open to ticket holders from 11am until 5pm. Belgravia�s leafy green centrepiece, a 4.5-acre private garden, which is usually only accessible to residents of the square, will be open for the day to members of the public. Guests will have the opportunity to explore 100 classic cars, including the Ferrari 250SWB, Rolls Royce P 1 and McLaren 650, and discover an old but not forgotten age of engineering, design, art and history. 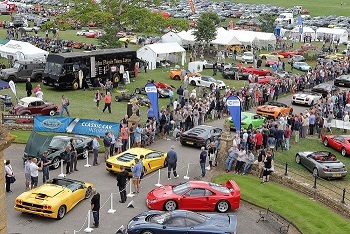 Event Description: 16th Annual Charity Classic and Supercar show at Sherbourne Castle. Expect to see 2000+ Classic, Veteran, Race, Rally, American, Custom, Hot Rod and Special cars plus 40+ car clubs, all in the magnificent grounds of Sherborne Castle. 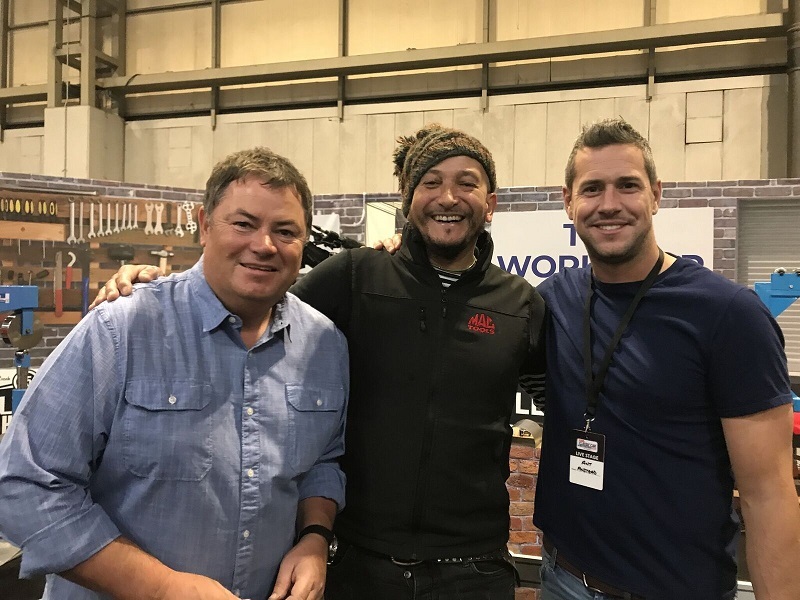 With 150+ Trade, Autojumble and Craft stands plus childrens amusements, large catering village, beautiful picnic areas the show has something for all the family. Event Description: The packed weekend of the Silverstone Classic provides spectacular historic motor racing on the world famous circuit, free access to the paddocks and grandstands, displays from over 100 car clubs featuring more than 10,000 classic cars over the weekend, plus interactive driving activities and dynamic demonstrations. There�s plenty of entertainment to enjoy too, with live music from headline acts, air displays, a vintage fun fair, and a shopping village... all included in the ticket price. It�s an event for the whole family. 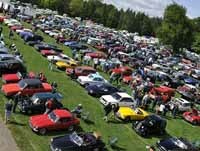 Event Description: One of the UK's most popular Classic Car events with over 90 Classic and Performance Car Clubs attending and over 300 private entries. Massive Autojumble and Trade area with 250+ plots. 70 Concours trophies on each show day!! With 12 Club Stand Awards on each day too! 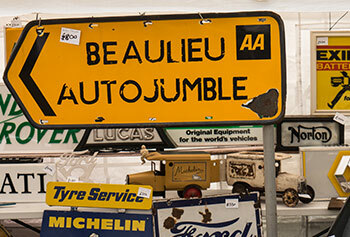 Event Description: Beaulieus most famous motoring event, the International Autojumble is the biggest outdoor sale of motoring items this side of the Atlantic. This iconic event enjoys the reputation that - if you cant find it at Beaulieu, it doesnt exist!. 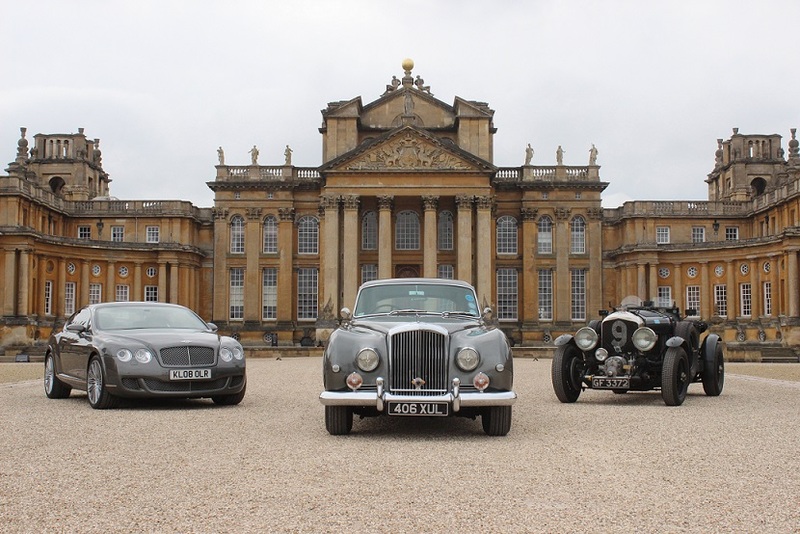 Event Description: To celebrate Bentley Motors' Centenary in 2019, the BDC's Concours d'Elegance will be held in the historic surroundings of Blenheim Palace. The Club's annual showcase event, being held in association with Salon Prive, is tagged '1001 Bentleys at Blenheim' with the Club hoping to attract the largest ever gathering of Bentleys in one place. Event Description: The Revival is the only sporting event in the world set entirely to a period theme, with exciting wheel-to-wheel racing with classic cars from the era of 1948-1966. Every year, spectators and competitors take a magical step back in time by getting into the effervescent Goodwood spirit. The majority of visitors dress in appropriate clothing from the 1940s, 1950s and 1960s, considering it all part of the fun. Event Description: Join us for this year's Sywell Classic: Pistons and Props motoring festival, combining historic racers, hot rods and motorbikes with classic planes and vintage music to create a fantastic two-day event, celebrating classic motoring on the ground and in the air. Event Description: Everybody - whether you are driving a Classic or not - is welcome to the largest New Years Day Classic Gathering in the UK. With over 1,000 vehicles expected, live music and a winter barbeque and other additional food outlets, there will be something for everybody amongst the vast and diverse displays of classics all descending on Brooklands to kick start 2019 in style. 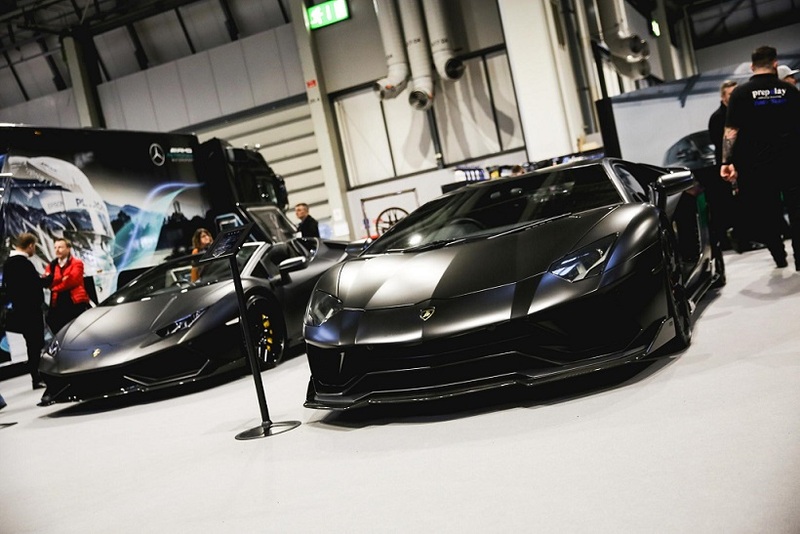 Event Description: Launching the 2020 season, Autosport International is back with even more features and action. You will get to see some of the fastest and most desirable racing cars in the world, including the much-anticipated launch of the 2020 WRC championship.If all that wasn't enough, you will see a whole host of star drivers from other series being interviewed on the Autosport Stage and get to experience the Live Action Arena, with it�s thrilling wheel-to-wheel action that is sure to keep you on the edge of your seat. 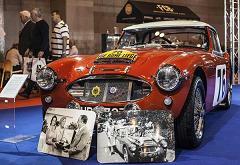 Autosport International incorporates two Trade-only days (09 & 10 January) followed by two Public days (11 & 12 January) dedicated to Motorsport enthusiasts. Event Description: Attracting thousands of classic vehicle enthusiasts on their journey to restoration completion, the halls of the Royal Bath & West Showground are filled to the rafters with specialist traders, parts suppliers and jumble stands offering missing pieces of restoration and maintenance puzzles at bargain prices. Event Description: ***The bi-annual Historique returns in 2020*** With interest levels in classic and historic racing at all time highs, the Monaco Classic Grand Prix weekend becomes a bigger (and better) event with each running. The event takes place over 3 days in May, with practice and qualifying for most groups on Friday, followed by 2 days of racing - with a race almost every hour from about 9am, until 6pm. The packed programme makes for a fabulous spectacle as the cars battle around the streets of Monaco. Crucially it's not just the slimline formula cars of the 1950s and '60s, with classic Bugatti and other 1930's racing equipment going head to hear, there's sports cars and GTs too, right up to 1970's F1 machinery plus demonstration runs from all manner of race and road cars. 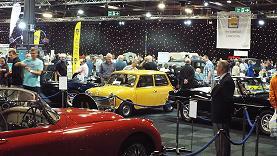 Event Description: ***The show is not being held in 2019 - see web site for announcement **** Showcasing the best of the UK classic car scene, this is one of the biggest classic car shows in the country. All indoors (apart from the live action!) 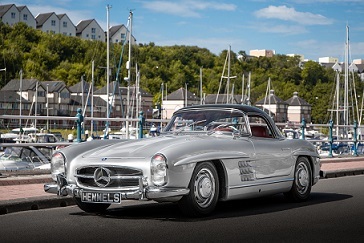 and packed with hundreds of motoring icons ranging right through the ages; from some of the earliest vehicles ever made, through: pre-war motorcars, 50's, 60's, 70's classics and the �future classics� or �youngtimers� from the 80's and 90's. Along with the hundreds of wonderful cars there are Trade Stands, Autojumble, Restoration Demonstrations, Dream Rides (Sporting Bears) and, just outside, Live Rally Action! Number of Cars Attending: Spaces limited.